Home > Horseradish Mustard 8 oz. 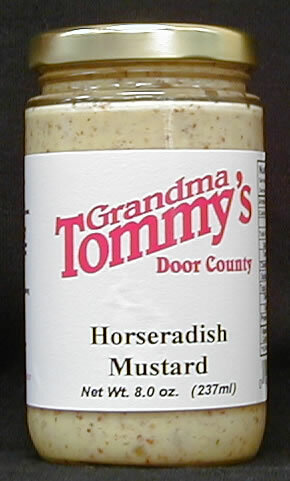 Every sandwich will taste better with a little kick of Grandma Tommy's Horseradish Mustard on it. Add to make a perfect roast beef sandwich or vinaigrette dressing.